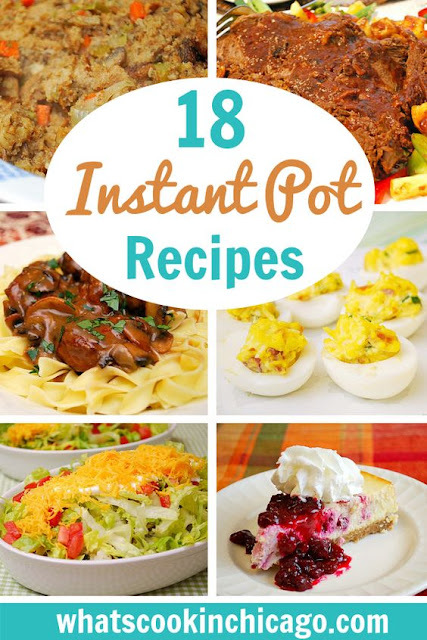 Instant Pot: November Recipe Round Up! 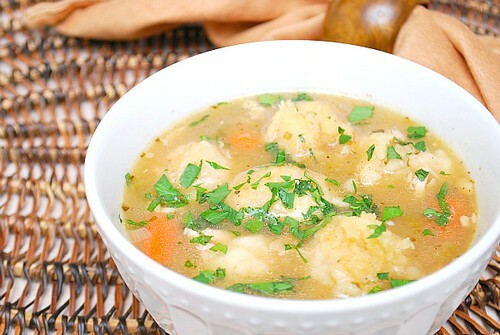 We're kicking off November with more comfort food, like Chicken & Dumplings. 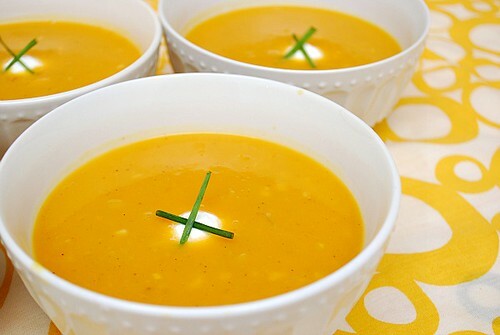 A bowl of this is perfect for the cool fall nights ahead! 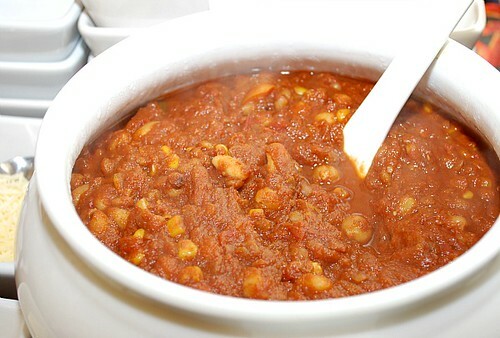 The holiday food fest is just around the corner, so get a dose of healthy with some Vegetarian Chili... Guilt-free & good for you! 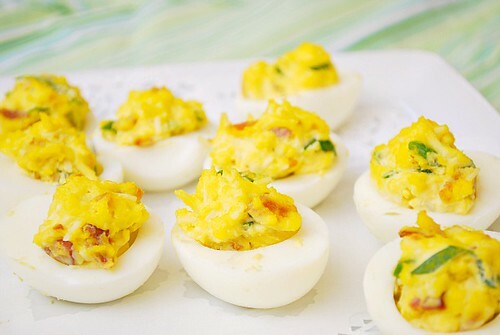 Give chicken a bit of savory and sweet... 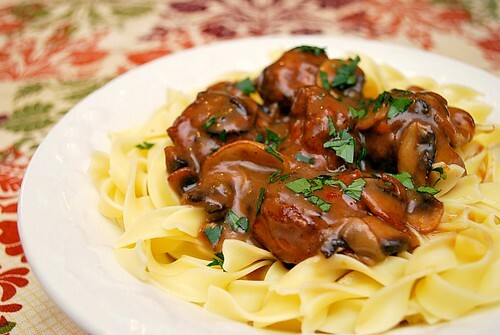 This Apricot Honey Chicken is a quick & satisfying dinner waiting to happen! 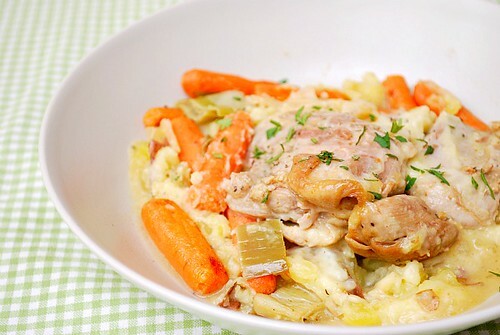 Chicken gets all fancy in this Chicken in White Wine Sauce! 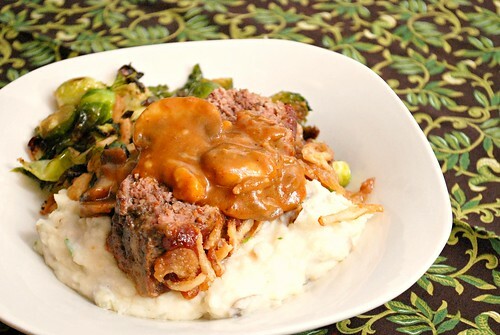 We love it over mashed potatoes for a filling, comforting meal. After meeting Chef Tyler Florence in person 6 years ago, I became a big fan of his recipes, including this one for Stuffed Cabbage Rolls.. I adapted his recipe for the Instant Pot and it came out fantastic! This is how we roll... with Sausage & Mushroom Cannelloni! 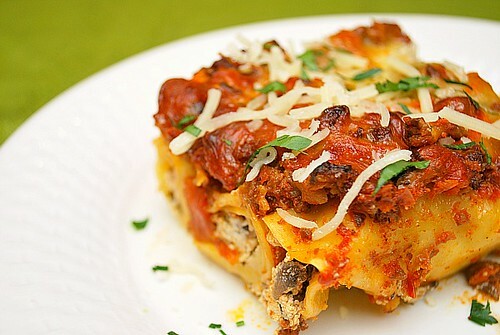 Stuffed with Italian sausage, mushrooms & cheese, it's another pasta dish in your IP. What kind of potatoes (if any) will you be serving for Thanksgving? 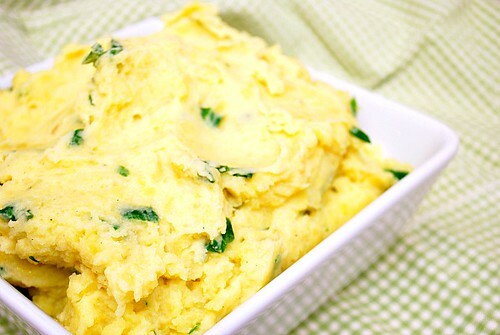 The luck of the Irish was on my side as we served up some Irish Champ (Scallion Mashed Potatoes) for Friendsgiving - it was a great addition to our menu! Stuffing or Dressing? Inside the bird or on the side? 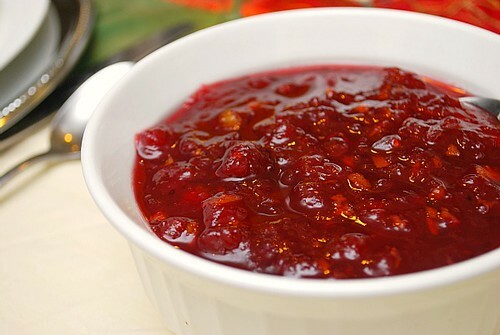 How will you be making your stuffing/dressing (if at all) for Turkey day? 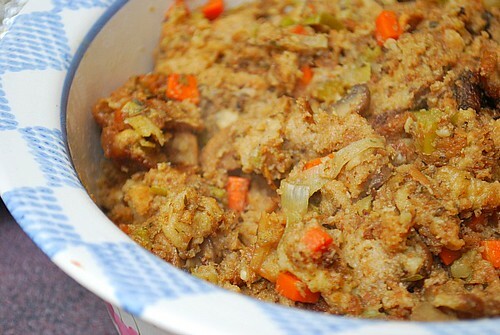 I recently made this Vegetable & Herb Stuffing for our Friendsgiving party and it turned out so good that I'll make it again next week! 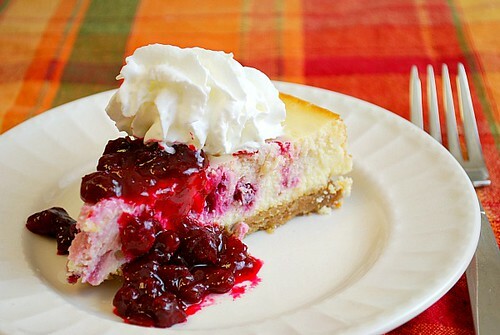 We all know IPers love their cheesecake & if you're looking for a dessert option, this Cranberry Swirl Cheesecake was a hit at our Friendsgiving party! Here's an IP version for Swedish Meatballs that is quick & easy (if using frozen meatballs)... and a homemade meatball version is also included too! 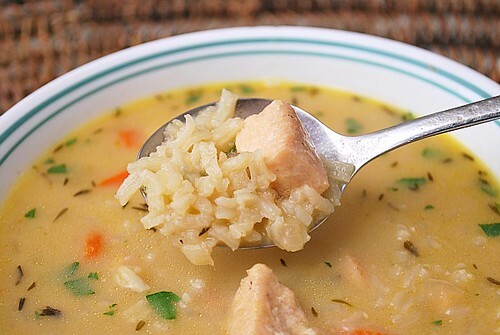 Lemon Chicken & Rice Soup! 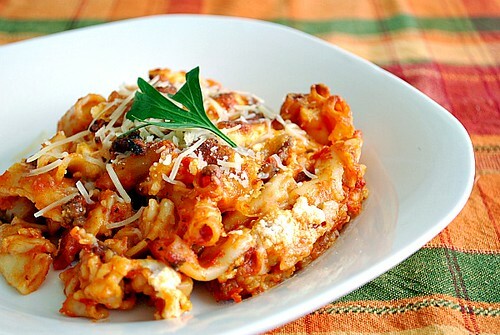 Pasta is on the menu tonight & I served up this Baked Penne with Sausage & Creamy Ricotta! 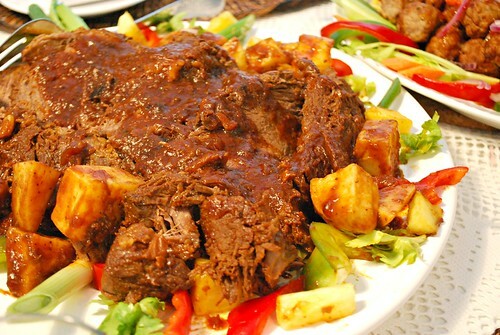 Filipino cuisine is gaining popularity and this Beef Mechado Roast is a delicious twist to the American version where a beef roast slowly simmers in a sweet tomato sauce with a touch of soy sauce and then served sliced with potatoes and rice. 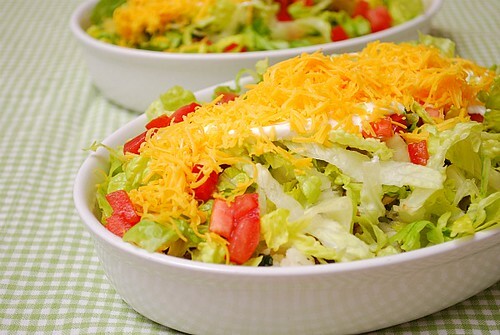 You could use this chicken filling for a variety of Tex-Mex dishes including burritos, quesadillas, tacos, taquitos, enchiladas, lasagnas, paninis, etc.